Signs and Symptoms of Ovarian Cancer Research Papers explore this silent killer since there are no clear warning signs. Research papers on the signs and symptoms of ovarian cancer can be approached from a medical health standpoint. Paper Masters writers will outline the signs and symptoms in a clear, concise way that is easy to understand. 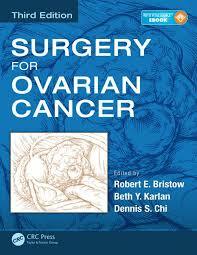 “Ovarian cancer remains the number one gynecologic killer in the United States and the Western world. In 2001, there will have been approximately 24,000 new cases in the United States, with 14,000 deaths”. Give the wide array of advancements in cancer research over the last several years, one cannot help but wonder why ovarian cancer proves so difficult to diagnosis and treat. An author notes that the predominant reason that mortality rates for ovarian cancer are so high is because when most patients are diagnoses with the disease, it has metastasized. This then leads on to consider why ovarian cancer is often not detected until it has metastasized. Ozols goes on to note that: “This pattern of metastasis makes early detection difficult because there are no early warning signs or symptoms. At this point, there is no evidence that screening the general population is effective, and routine screening is not recommended”. Given this reality, ovarian cancer truly represents a silent killer. While these signs may indicate ovarian cancer, unlike breast or cervical cancer there is no effective diagnostic test available for detecting ovarian cancer. Therefore, diagnosis may be delayed. Pathophysiology of Ovarian Cancer research papers discuss the known reasons of this cancer such as mutation or deletion of genes. Breast Cancer Vaccine - Breast Cancer Vaccine Research Papers look at statistics in breast cancer among women and also the efficacy of this new intervention. Breast Cancer Genetics - Breast Cancer Genetics research papers examine the leading type of cancer for women worldwide and look into the numerous risk factors. Preventative Care - Preventative Care research papers examine a part of the health care system that takes measures to stave off diseases. Womens Health - Women’s Health Research Papers discuss why the medical community pays special attention to the biology of women and discuss the physical and psychological aspects of women's health. Acute Myleoid Leukemia - Acute Myleoid Leukemia Research Papers delve into how this type of blood cancer develops. Colon Cancer - Colon Cancer Research Papers discuss how this cancer develops in the body. Pancreatic Cancer - Pancreatic Cancer Research Papers look at a sample of an order placed on medical problem or disease. Regional Studies of Breast Cancer research papers look at the incidences of Breast Cancer according to geography. Prostate Cancer - Prostate Cancer research papers discuss the most common form of cancer found in adult men. Testicular Cancer Research Papers look at the age at when it hits men, and also the factors of this cancer. Children With Cancer Research Papers look at facts about childhood cancer, and ways to treat it. Breast Cancer in the United States - Breast Cancer in the United States research papers examine regional studies of cancer in the US. Reinoblastoma Research Papers look at this form of cancer arising in children, and the two forms hereditary and non-hereditary. Leukemia Research Papers provide research on this blood cancer and discus the symptoms. Chemotherapy Research Papers examine the side effects, and how this treatment has helped treat cancer. Obesity Smoking - Obesity and Smoking research papers link the two factors with many diseases in America today. Endocrine Diseases - Endocrine Diseases research papers discuss the disorders of the endocrine system. What is a Tumor - What Are Tumors research papers explore the mass of cells that make up what is known at a tumor. Lymphatic System - Lymphatic System research papers look into the part of the circulatory system that is comprised of a network of conduits that carry lymph, a clear fluid, towards the heart. Hodgkin's Disease research papers discuss the type of cancer, also known as Hodgkin's lymphoma, that originates in the body's white blood cells. Mammography - Mammography Research Papers delve into the technological advances in mammograms. Paper Masters writes custom research papers on Signs and Symptoms of Ovarian Cancer and explore this silent killer since there are no clear warning signs.